Communication is related to every human activity. The words we say and actions we complete convey messages, emotions, and information. Saying, “I am tired,” or yawning both imply that you are tired. Screaming “Ouch!” or grimacing both announce that you just experienced pain. Once we learn to speak, write, and use a computer, we don’t give communication a second thought. Messages come and go in a flash. But that flash still exists, and taking a closer look at it is called communication theory. 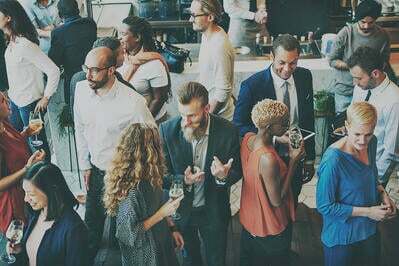 Most people wouldn’t expect something commonplace like communication to have a scientific theory behind it, but there is more to it than meets the eye. Or ear. Communication theory studies the scientific process of sending and receiving information. There are many principles, methods, and components that can affect a message, and communication theory explains it all. Communication theory is a complex topic. There are a lot of features of communication theory that can affect the process: sender, receiver, noise, nonverbal cues, cultural differences, and so on. It’s a lot to keep track of. To make things a little less complicated, the creators of the different communication theories paired them with communication models. Put simply, models act as a visual representation of a theory. Because communication has become so complex over time, there are different communication models for different types of communication. Some are simpler than others, but let’s go over the basic models that we experience the most in our day to day communication. 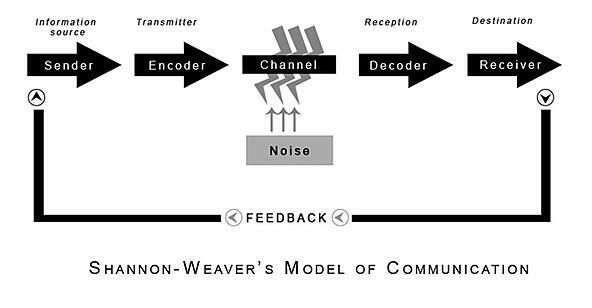 The Shannon-Weaver model is a linear, or one way, communication model that Claude Shannon and Warren Weaver created in 1948. Before we move into what the model actually is, we need to break down the key concepts within it. 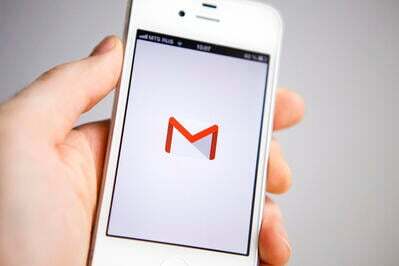 Sender: The sender creates and sends the message. Encoder: The encoder translates the message into signals. 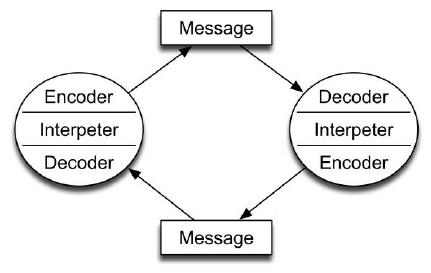 Decoder: The decoder receives the signals and forms a message. Receiver: The receiver is the message’s final destination. Noise: Unrelated distractions in the channel that might affect the reception of the message are referred to as noise. Now that we have those features in mind, let’s look at the steps in the Shannon-Weaver communication model. The sender encodes a message and chooses a communication channel. The encoder, a part of the channel, converts the code into signals. The decoder takes those signals and translates them into a message for the receiver. The receiver gets the message and interprets it. Pretty simple, right? A little unrealistic though. If all communication was that simple, the world would be free of conflict triggered by miscommunication. There are things that can get in the way of receiving messages. This is referred to as noise. Noise can be anything that affects the reception of a message. Accidentally misreading an email or being distracted when someone is speaking to you are both examples of noise. When noise gets in the way of communication, feedback is often necessary. Let’s look at an example. Say you and your deskmate are meeting with your manager later in the day. You sit down and say, “Don’t forget about the meeting at noon today.” But while you were saying “at noon,” they received a text message, got distracted, and glanced at their cell phone. The noise restricted them from receiving the whole message, so they use feedback to ask, “What time is that meeting today?” And you respond with the time. This situation would simply restart the process. But now, your deskmate would be the sender, and you would be the receiver. The Shannon-Weaver model is a basic example of communication theory, but a great place to start when trying to simplify this complex subject. The Lasswell communication model is another linear, or one way, model that Harold D. Lasswell created not too long after the Shannon Weaver model was made. The big difference between the two is that Lasswell’s model studies mass communication, as opposed to a simple two-person conversation. A big factor in this model is predicting the effect the message has on the group. Let’s take a look at a visual and then break it down. Simply put, the Lasswell model asks a series of questions: Who said what? What channel did they use? Who did the message reach? What effect did it have? The point of this model is to analyze the effect a message can have on a large group of people and to see how each part of the model can make a difference. This is done by diving into each part with a different type of analysis. Don’t worry, Lasswell laid them out pretty well for us. Control analysis takes a look at who said the message. The message itself is evaluated using content analysis. Media analysis focuses on the communication channel used to send the message. Audience analysis looks at whomever the message is being sent to. The end of the model shows effect analysis, but this actually happens at the beginning of the process. When sending a message, whether we think about it or not, there is a desired effect. Whether it be to get a response or for the receiver to change a behavior, all messages have a purpose. And before we even send them, we consider the effect of the message in one way or another. It just doesn’t appear until after the message is received. Mass communication is an everyday occurrence. Media outlets basically shout information at large groups of people in hopes of creating an effect. The Lasswell communication model simplifies that process. 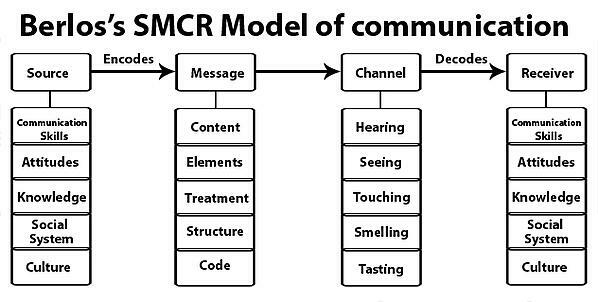 The Berlo communication model is also not too different from the Shannon Weaver model. Constructed by David Berlo in 1960, this version takes the Shannon Weaver model a step further and considers the different things that can affect each of the model’s components. Let’s break down the different pieces of the Berlo model and the factors that affect each one. Source: The source, or sender, creates the message intended for the receiver. Receiver: The receiver collects the message sent by the source. Because the source and receiver are interchangeable, the aspects that affect them are the same. Let’s take a look at each one. Communication skills: The communication skills of the sender and receiver affect how well the message is communicated. If the sender has poor communication skills, the receiver may not get the right message. And if the receiver isn’t a good communicator, they might misinterpret the message. Attitude: The attitude that the sender has towards the receiver, and vice versa, can change the way the message is delivered and accepted. This is especially apparent in verbal communication when speakers exhibit their tone. Knowledge: Knowledge has an impact on the content of the sender’s message and the receiver’s interpretation. If the sender or receiver, or both, are not familiar with the topic at hand, the message loses value. Social systems and culture: The environment and situation of the sender and receiver can also affect the message. Language, values, beliefs and life experiences can help or hinder the delivering and accepting of a message. Message: The information being sent. There are countless ways to craft a message. Let’s break down the typical parts of a message and how they can affect delivery and acceptance. Content: The subject matter of the message, like the words in an email or visuals in a presentation. Treatment: The way the message is transferred to the receiver can impact the receiver’s understanding. Structure: The structure, or how it is organized, determines the message’s effectiveness. Code: Code is the form the message takes. This includes speech, text, videos, etc. Channel: The channel is the means of sending the message. The way the message is received is especially important to consider when breaking down the channel. The point of a message is for it to be received, and hopefully well. If the sender chooses the wrong communication channel, receiving the message will be unsuccessful. When receiving a message through a channel, we interpret it with one, or multiple, of our five senses: sound, sight, touch, smell, and taste. This is why the channel used to send a message is important. We can’t smell a photograph or taste a handshake. Well, we can, but we would look silly and not gain any information from it. The Berlo communication model takes components of simple models and then asks “what if” questions that might be worth noting. What if the receiver isn’t educated on this topic? What if the sender and receiver speak different languages? What if they use the wrong channel? No matter the message you are sending, these possible dealbreakers are worth considering. In 1970, Dean Barnlund took communication models in a different direction. And that direction is circular. Here's what the model looks like. Yikes. That's a little scary. Let's simplify it. This model is transactional, instead of linear, meaning it focuses on two-way communication. The Barnlund model is used only when feedback exists. It is a never ending cycle between sender and receiver where their roles switch depending on who is speaking. As the conversation goes back and forth, feedback serves as a brand new message. Let’s look at an example with a very simple conversation between two coworkers named Martin and Maria. Martin: Hi Maria, how are you? Maria: I missed my train and was late to work. Martin is the initial sender when he greets Maria and asks how she is doing. Maria receives that message and interprets it. As she responds, Maria becomes the new sender, and Martin takes on the role of the receiver. As they keep talking about why she missed her train and what she missed in the meeting because of her tardiness, the title of sender and receiver travels continuously between the two of them. The Barnlund model also incorporates the use of cues, verbal and nonverbal, when sending messages. Picking up these cues is necessary when interpreting a message. The Barnlund model recognizes the important parts of a linear model. However, it also recognizes the likelihood of a message turning into a two-way conversation between sender and receiver. The Schramm model of communication is less traditional than the others. Here are the different parts you need to know. Encoder: The encoder does the encoding and sends the message. Decoder: The decoder receives the message. Interpreter: The person trying to interpret the message. It is important to note that receiving a message is not the same as interpreting a message. You can be the intended recipient of a message, and receive it, without interpreting and understanding it. Even though we typically interpret messages right as we receive them, it still is an extra step. 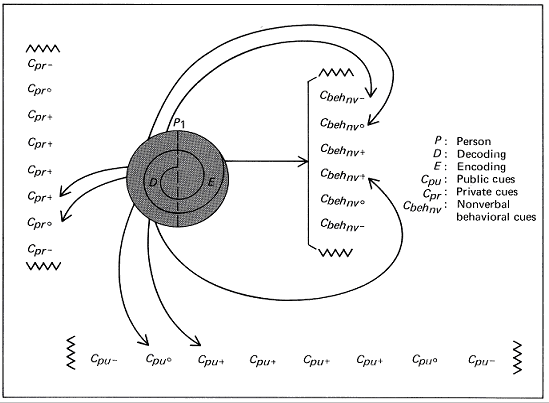 The Schramm model of communication shows the circular flow of constant communication. The sender and receiver aren’t necessarily labeled because this model focuses more on the message rather than sending and receiving it. This is mostly because Schramm recognizes the possibility of sending and receiving messages to oneself. The Schramm communication model deviates from traditional models that label a sender and receiver and focuses more on the message itself. Communication theory uses models to show us the true complexity of our conversations, whether they be in person, over email, or through a big media outlet. The more you understand it, the better communicator you will be. Want more information on communication’s origins? Check out our resource on the history of communication to take a closer look.